In 2004 Patricia Brown, then chief executive of Central London Partnership, commissioned the now-defunct design consultancy AIG London to undertake a study of wayfinding in central London. Pat's vision was to create a wayfinding system for London that was so good that visitors would have “the confidence to get lost”, in the knowledge that they would soon be able to find themselves back on track. 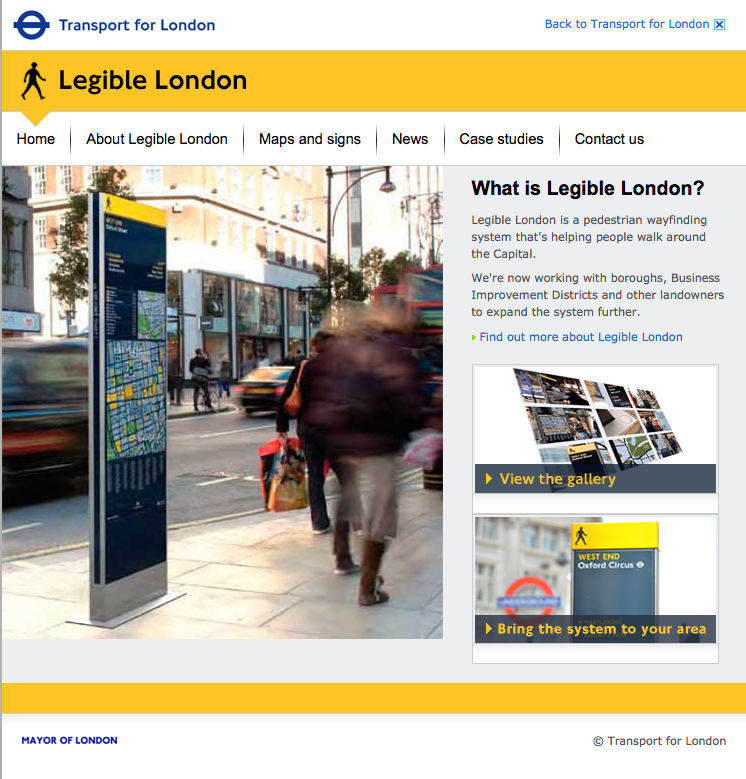 The result was the Legible London study, written by Kasper de Graaf based on research by AIG with Lacock Gullam and LSE Cities, which identified more than three dozen competing pedestrian wayfinding systems in the central London zone, and established that one in five people exiting tube stations in central London had travelled a journey less than 800 metres. This study was instrumental in persuading the London boroughs to support a capital-wide pedestrian wayfinding system.